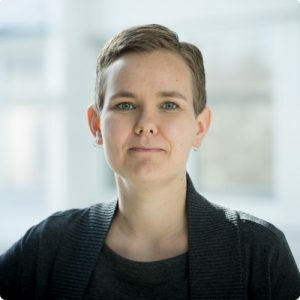 The research groups of Academy Professor Riitta Lahesmaa and Research Director Laura Elo from Turku Centre for Biotechnology have discovered new proteins that regulate T cells in the human immune system. Some of these proteins can provide possible new targets for drug development in treating immune-mediated diseases. The newly discovered regulatory proteins differ significantly from the regulators in mouse immune cells which have been reported earlier. Some of the proteins, such as SATB1 regulating the transcription of several genes, function in the opposite way in human compared to mouse. The findings open new, previously unknown possibilities into the treatment of immune-mediated diseases, such as multiple sclerosis or rheumatoid arthritis. – The differences in the immune system cell regulators in mouse and human revealed by protein-level analyses are in line with our earlier findings. To understand the special characteristics of the human T cell regulation, studies on human cells are necessary to advance translational research, stresses Professor Riitta Lahesmaa. T cells are critical in regulating the immune response. They can also cause inflammatory diseases such as multiple sclerosis or type 1 diabetes. Researchers from Turku Centre for Biotechnology of the University of Turku and Åbo Akademi University in Finland used a proteomic approach they have optimised to discover how protein levels in T cells change over time so that they start causing inflammation. 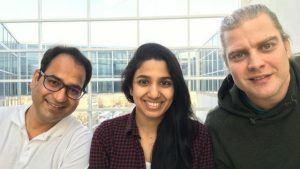 The team identified new cell regulators and gained information on the cell differentiation process, which can be a starting point for planning new ways of preventing cells from becoming inflammatory. The study was funded by the Academy of Finland, EU Horizon 2020 (ERC and IMI) and Sigrid Jusélius Foundation. Researchers Subhash Tripathi, Ankitha Shetty and Tommi Välikangas from Turku Centre for Biotechnology celebrate the new publication. The study is part of the dissertation research of Ankitha Shetty and Tommi Välikangas. The study was published in the iScience journal: Quantitative mass spectrometry-based proteomics reveals the dynamic protein landscape during initiation of human Th17 cell polarization.